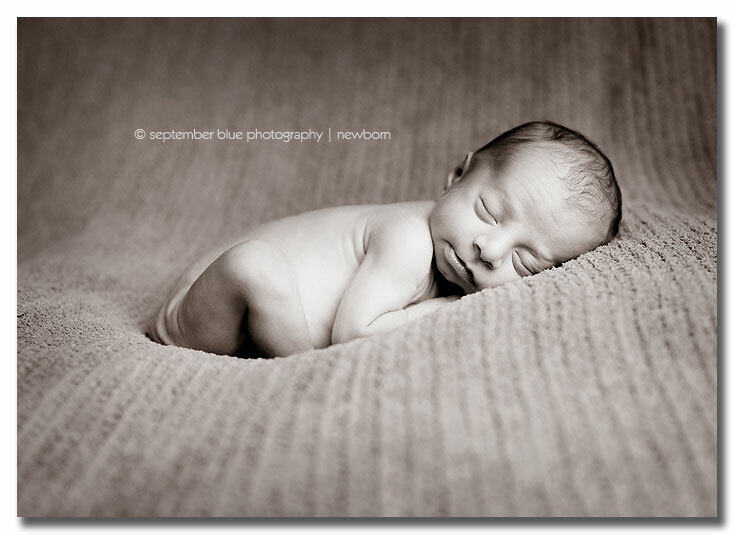 Newborn photography is challenging in and of itself…. but it is also so rewarding. I love when the parents challenge me with ideas or bring in elements of themselves, their lives, their personalities and ask me to incorporate them into their portraits somehow. It gets my creativity flowing and results in the parents getting a truly personalized session with personalized images that mean alot to them. This was my second time photographing this family…in fact, you might recognize Dad’s tattoos as a photo of him and their newborn little girl had a home on my website for many, many months… now it’s time to update it with this shot of her brand new baby brother… J&P, congrats again! Dad is in a rock band… I actually got Baby G SMILING in this one!! This entry was posted in Newborns, Uncategorized and tagged Long Island Newborn Photographer, Long Island Newborn Photography. Bookmark the permalink. 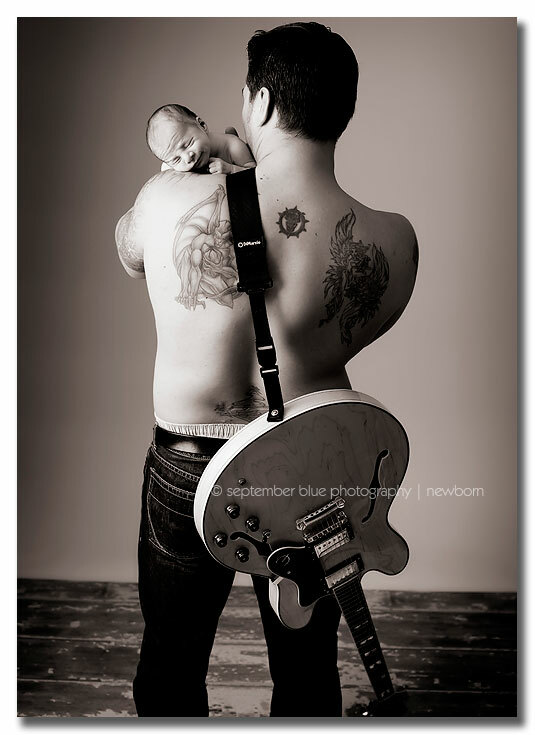 Amazing photos….i love the one of the baby in the guitar case! can i ask where you got the wood floor for 2 of the photos above? ADORABLE! I love them all! What a fresh and sweet little newborn! 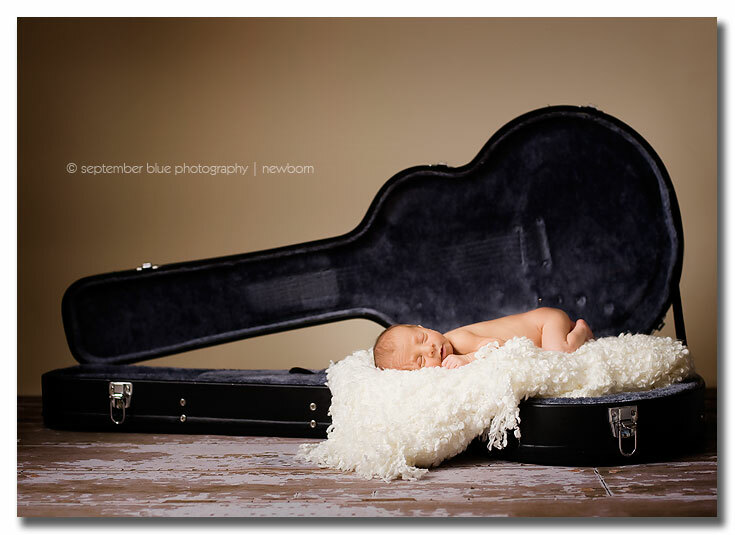 Love the baby with the guitar case. A budding musician! If i was musician and that guitar image was of my baby I’d have it huge on my wall. How unique and stunning! oh, I love these. Great captures with the dad and his guitar. Okay Tatoo pic needs to be made BIG- so amazing. I love how deep the tones are.